Merging accidents are a frequent occurrence on Missouri roads and a large percentage can be attributed to driver error. 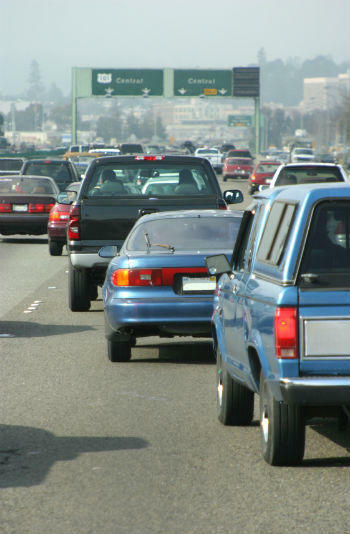 Merging into traffic can be a difficult and risky maneuver, especially in high traffic situations. However, it is a skill that you must master if you are to drive on a highway. We have offered some tips on how to prevent car accidents while merging into traffic. Maintain the proper speed while merging onto a freeway. At the speed of traffic, you can merge easily without disrupting the traffic flow. Do not stop or slow down on the on-ramp. When you prepare to merge, maintain a five-second gap in traffic, for example, three seconds between the car in front of you, and a two-second following distance between you and the car behind. This means that you should merge when the car in front has crossed the on-ramp three seconds ahead of you and the rear car will reach the ramp after two seconds. When you plan to merge, put on your turn signal and adjust your speed so that you land in the middle of the gap between traffic. Before you merge, look for any vehicles in your blind spot. The traffic on the freeway has the right of way, so do not expect the traffic to slow down to accommodate you. Use extra caution while merging in front of a large vehicle like a semi-truck or an 18-wheeler. These vehicles are very heavy and have a very long stopping distance. Expecting them to stop or slow down when you cut across in front of them is asking too much. There are certain precautions and tips that one must bear in mind while merging from across the street to avoid a car accident. Maintain a safe distance between vehicles. Look around you before you decide to merge. Use the turn signals so that your intentions are communicated to the other drivers. The speed of your vehicle should match that of the traffic on the road. You should check your blind spots so that you are not taken by surprise by another vehicle. If there is no merging lane on the highway, look for a gap between the traffic and enter when your speed matches that of traffic on the road. The traffic on the highway has the right of way; be ready to yield as needed. If you have been injured in an accident caused by a negligent driver, you should be aware that you may be able to claim compensation for medical expenses, wage loss, property damage, and pain and suffering. Call The Hoffmann Law Firm, L.L.C. at (314) 361-4242. We can help you get your rightful compensation.